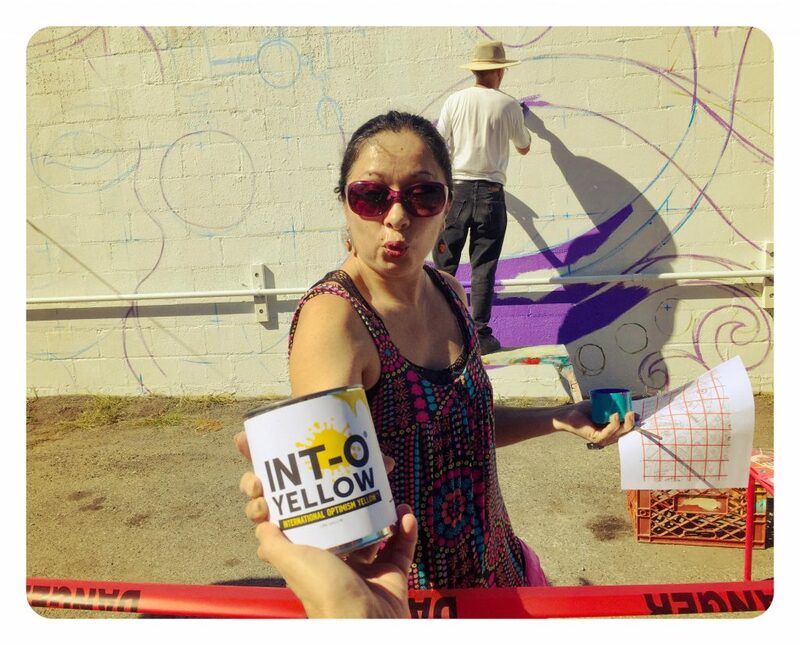 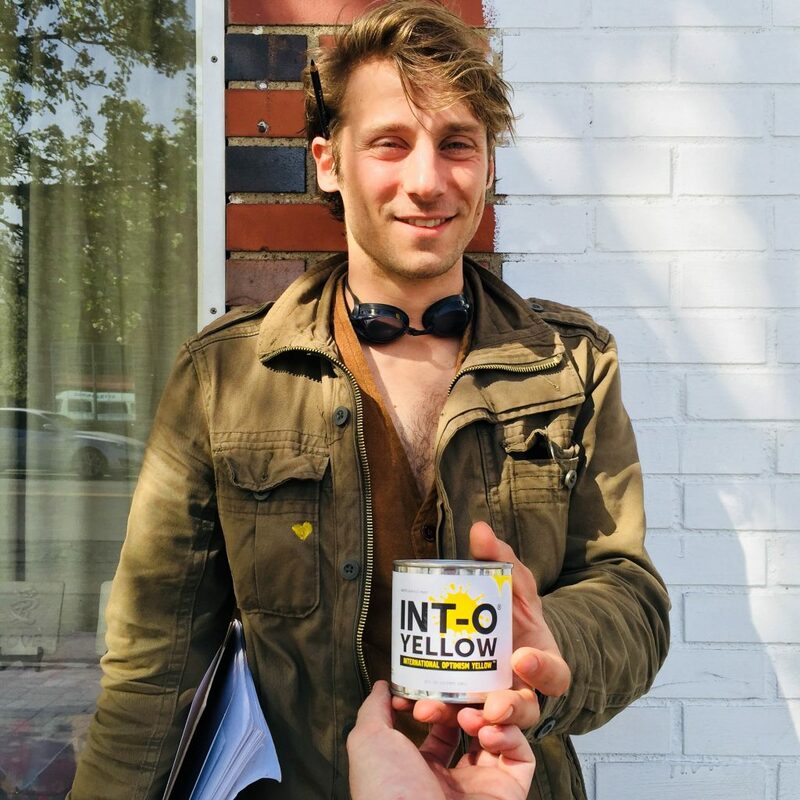 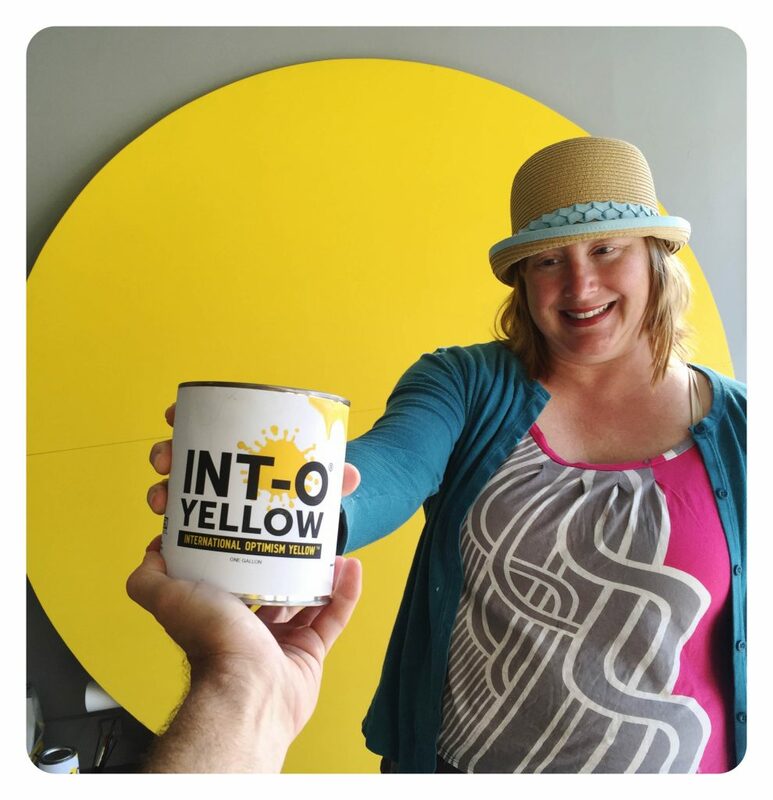 A regenerative cycle of gifting INTOyellow to artists to fuel the Optimism movement. 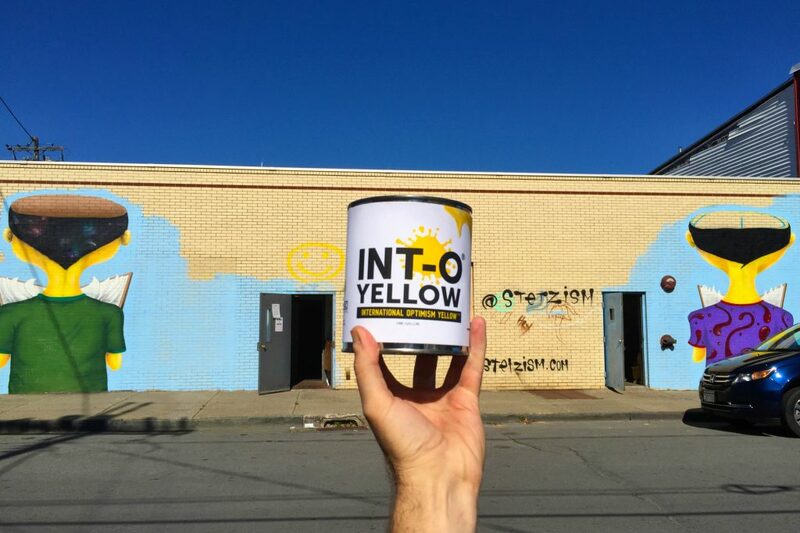 For years, Uncle Riley has gifted INTOyellow to artists to explore Optimism in their public and personal work. 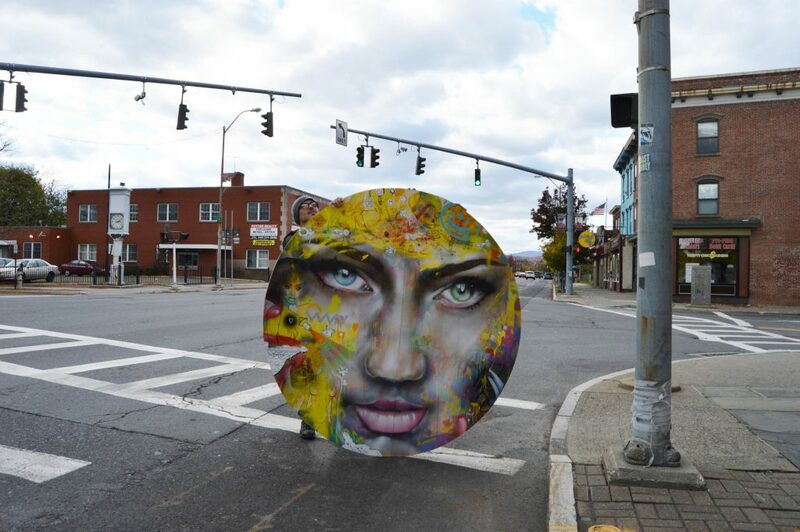 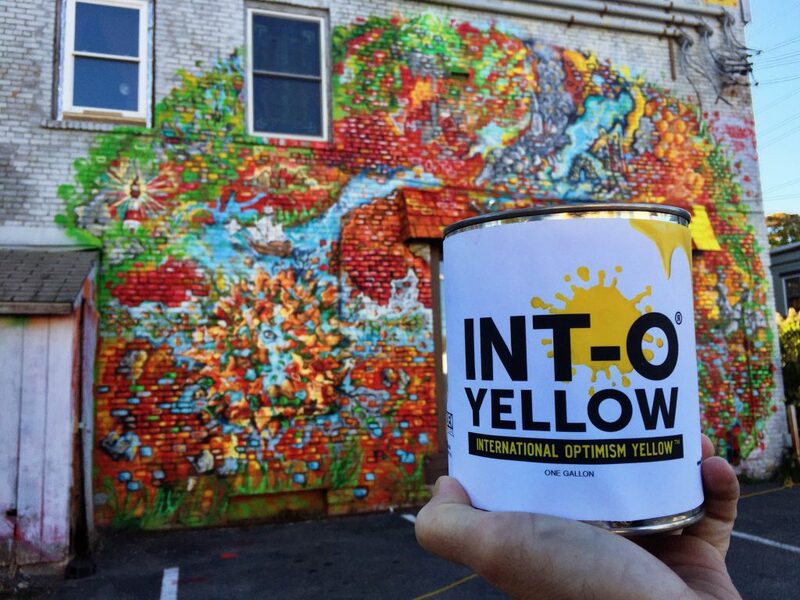 The intention is for the artists to promote the Optimism movement, generate more positive energy in the world and raise awareness around mental health issues. 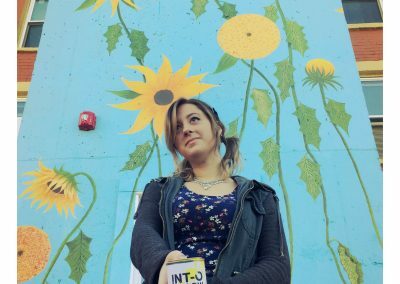 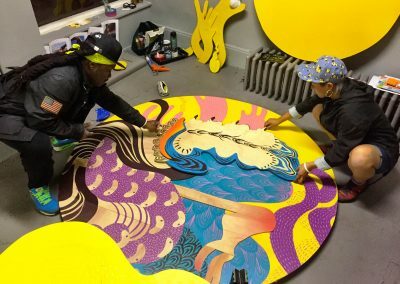 Statistics prove artists suffer higher rates of depression and suicide, and so making art that engages with these topics can often be deeply personal and cathartic. 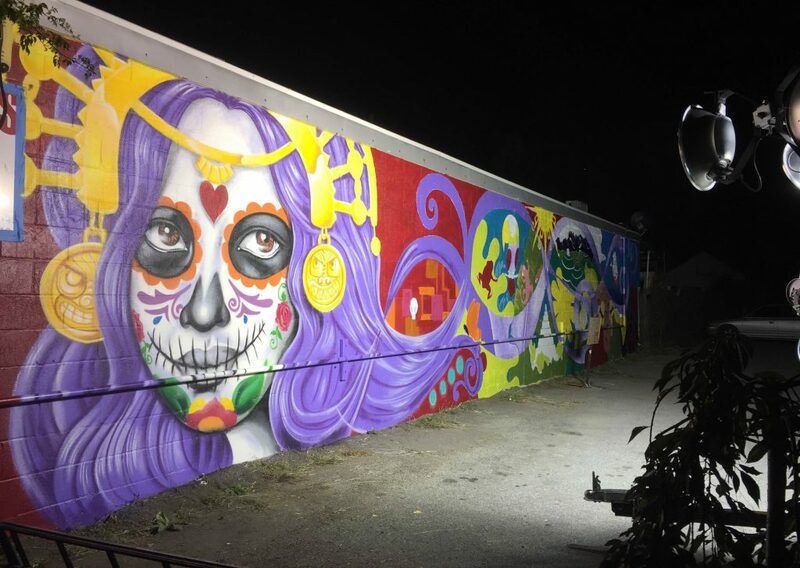 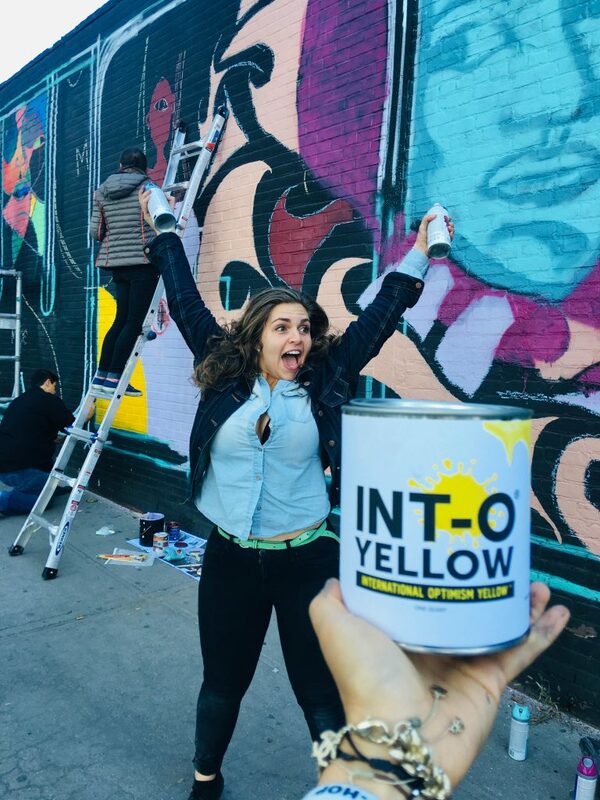 Many of the artists who explore the color discover a sense of connection with other artists through shared intention, and find the color adds an additional layer of meaning to their work.This cycle of gifting INTOyellow and sharing creations made from the color is important because it offers ways to build community and can be a source of healing, connection and transformation. 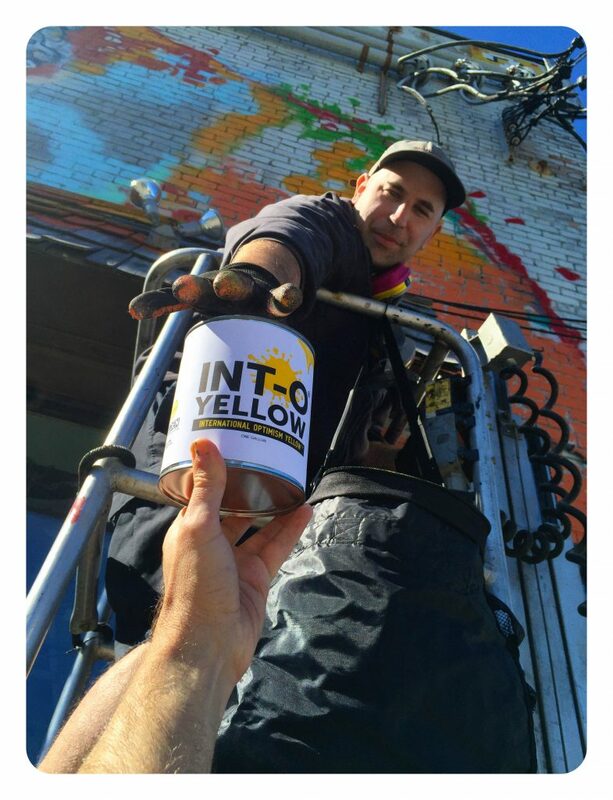 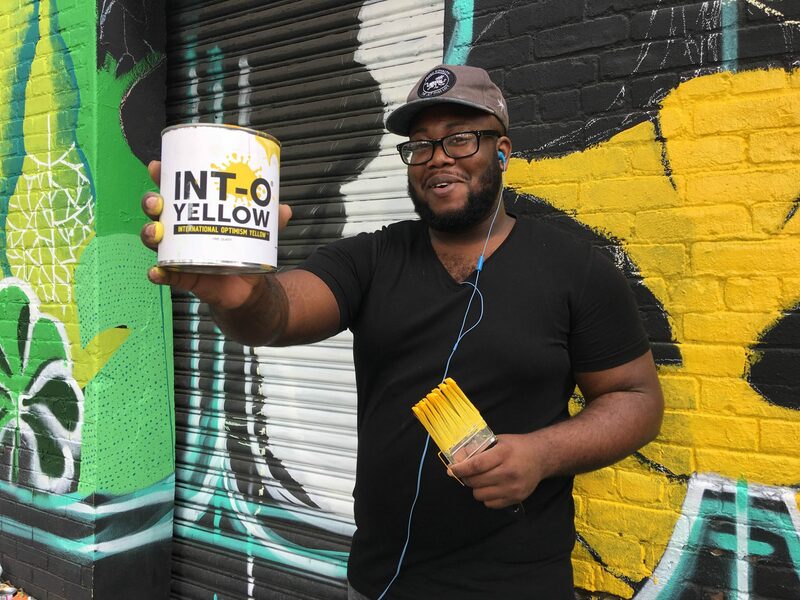 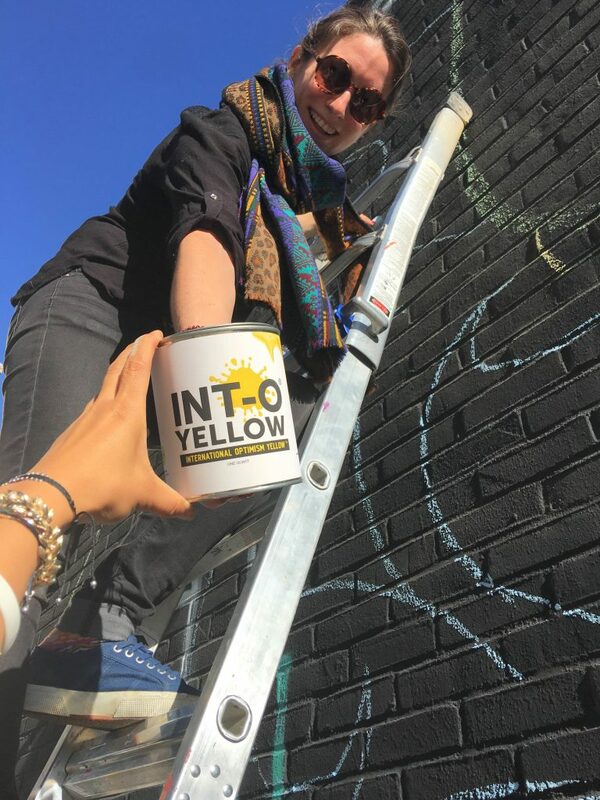 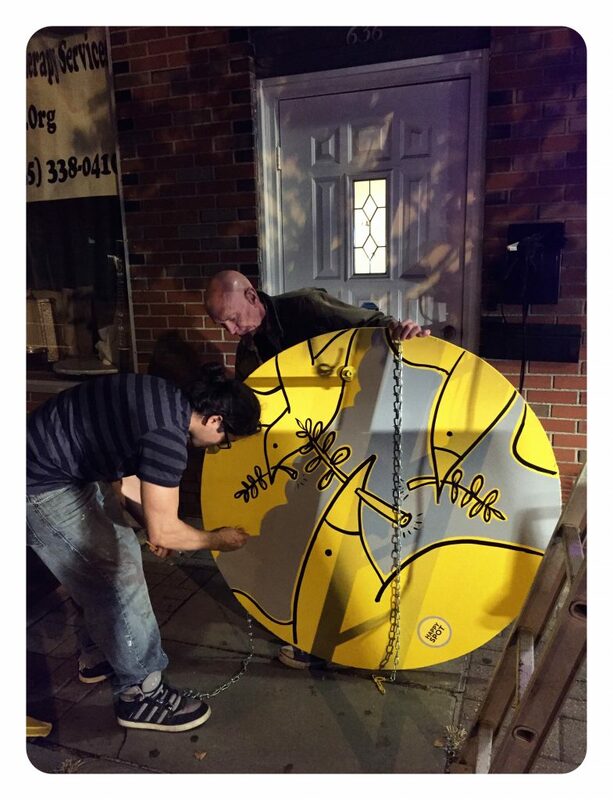 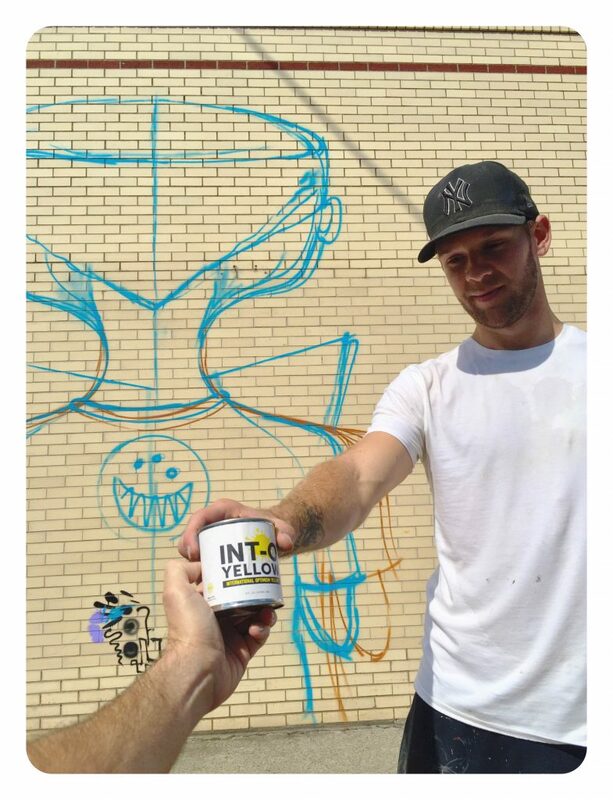 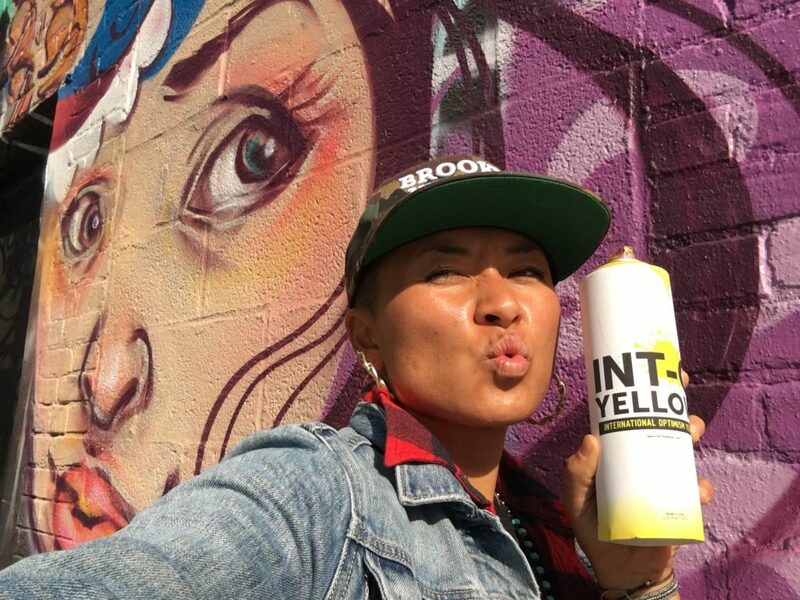 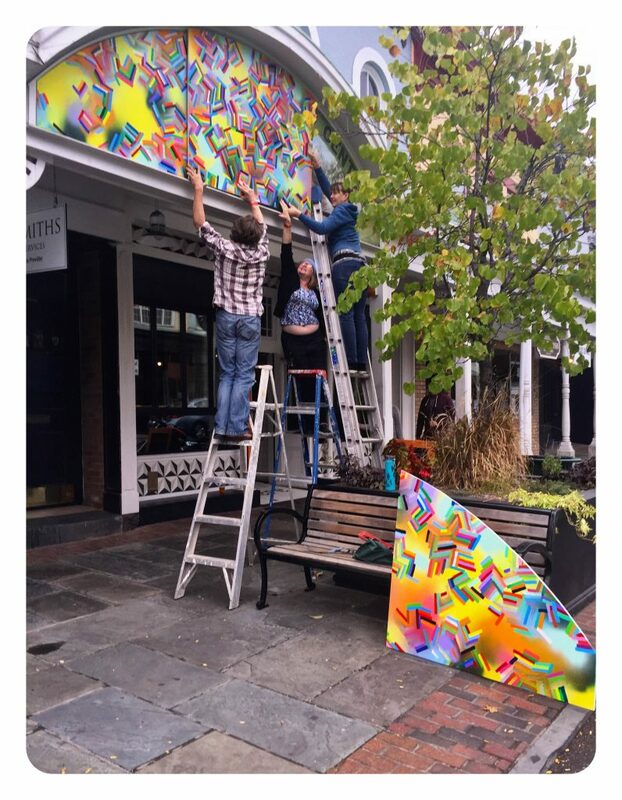 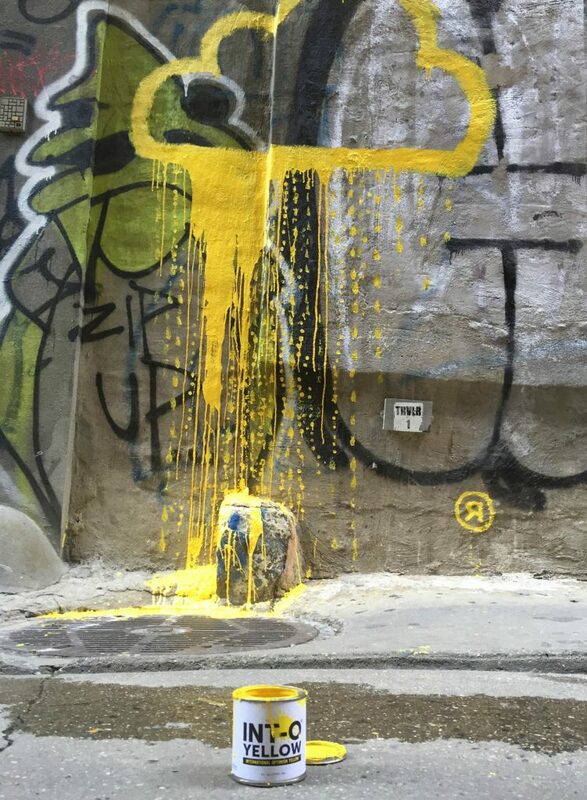 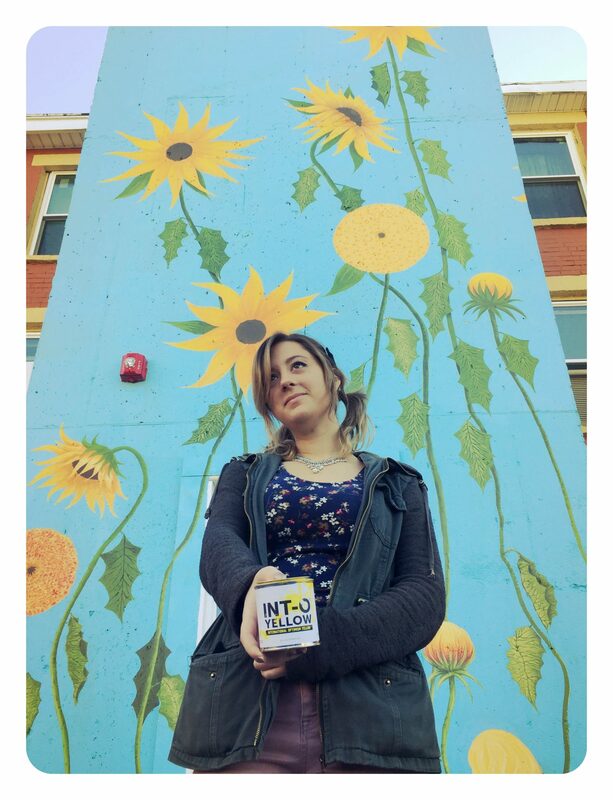 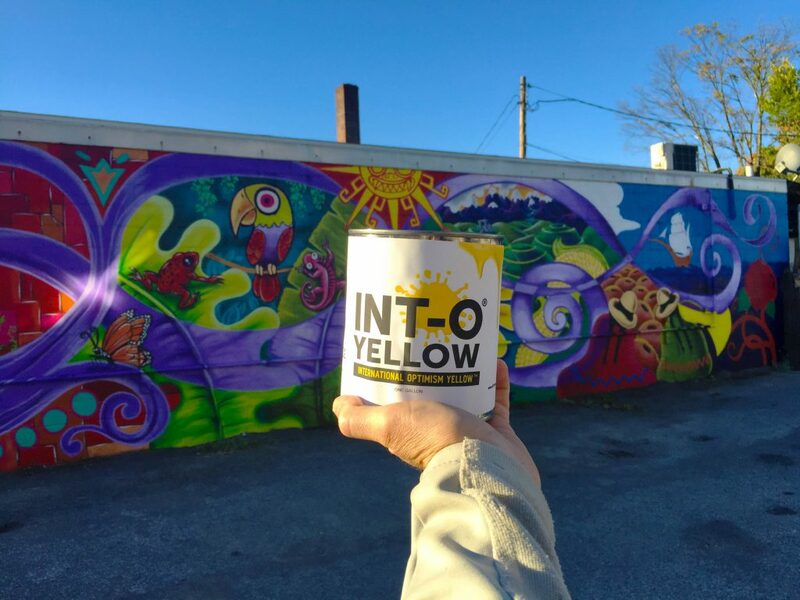 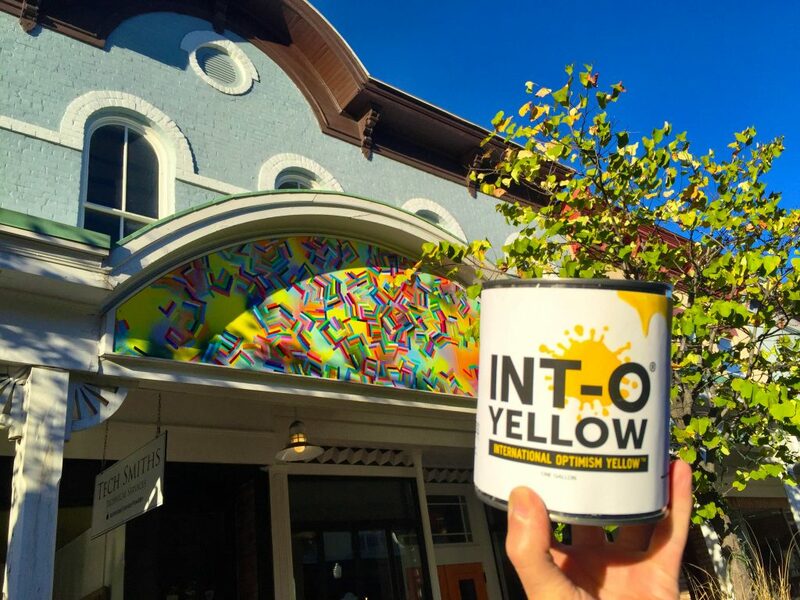 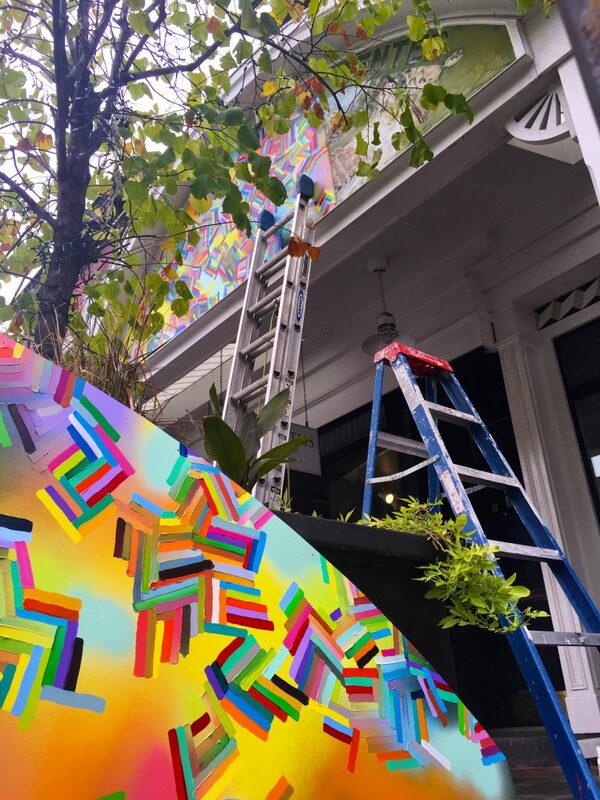 Uncle Riley gifts INTOyellow paint to fellow artists who create Optimistic works, and then share their creations with others to inspire more Optimism. 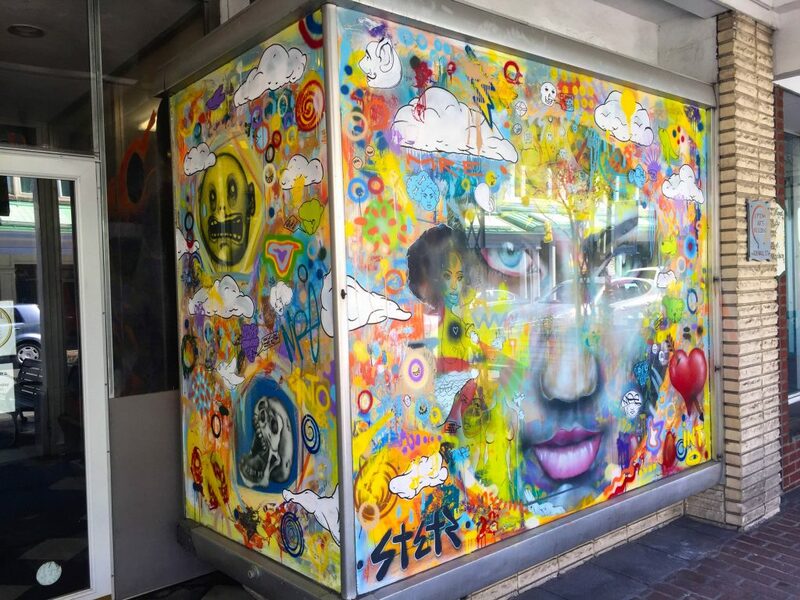 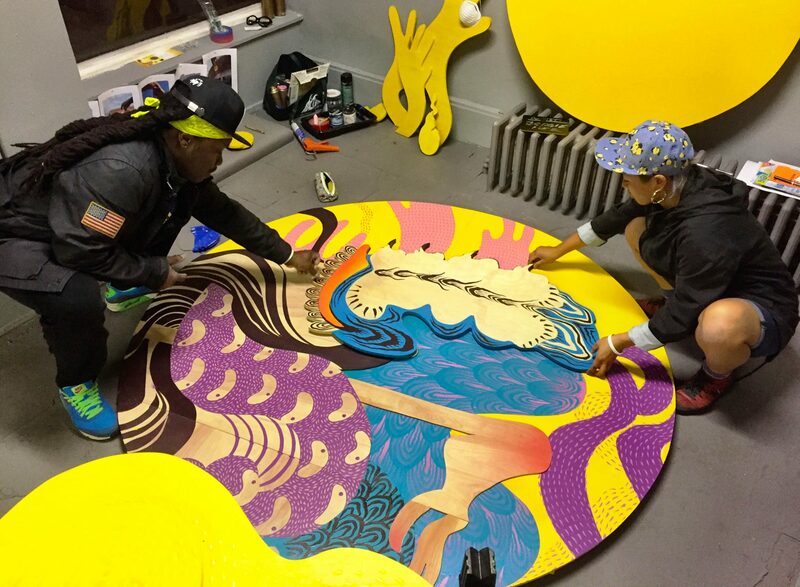 If the artwork is sold; Uncle Riley encourages 50% for the artist, 25% towards local mental health charities and 25% for UMEWE* or to the gallery or store where the piece was sold (to demonstrate gratitude for supporting and promoting the artists and the movement). 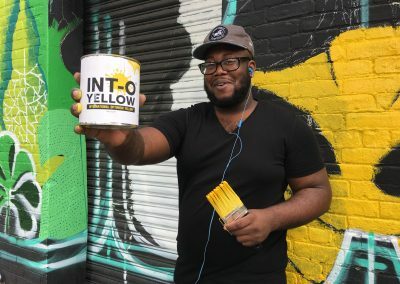 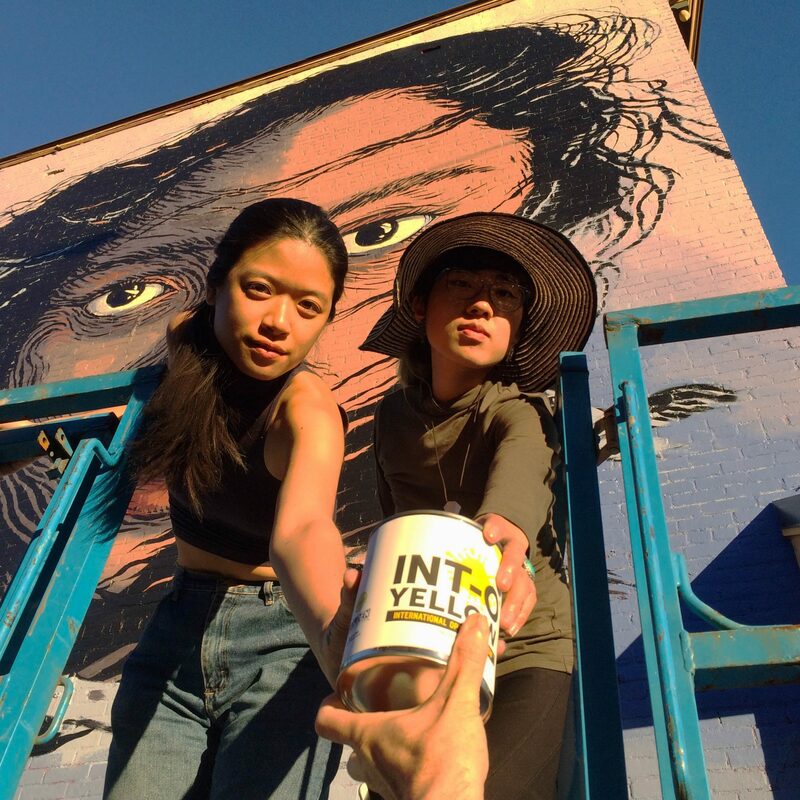 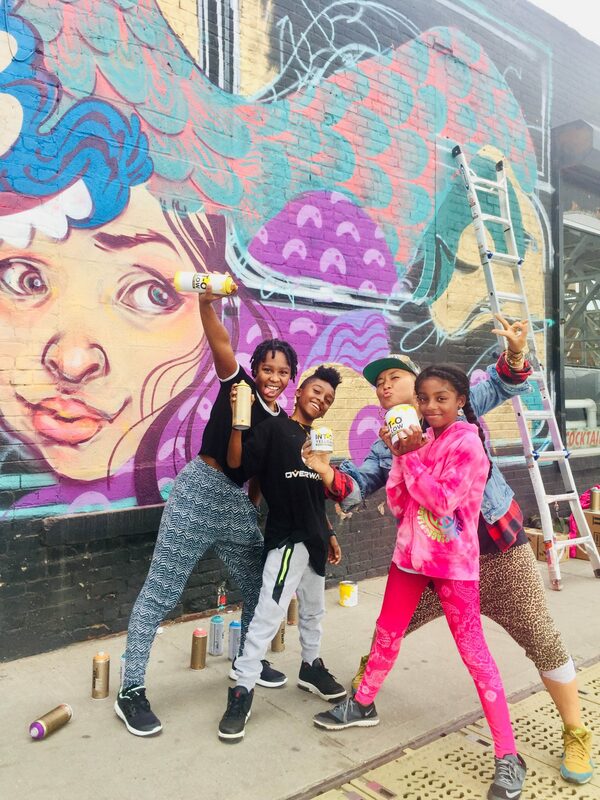 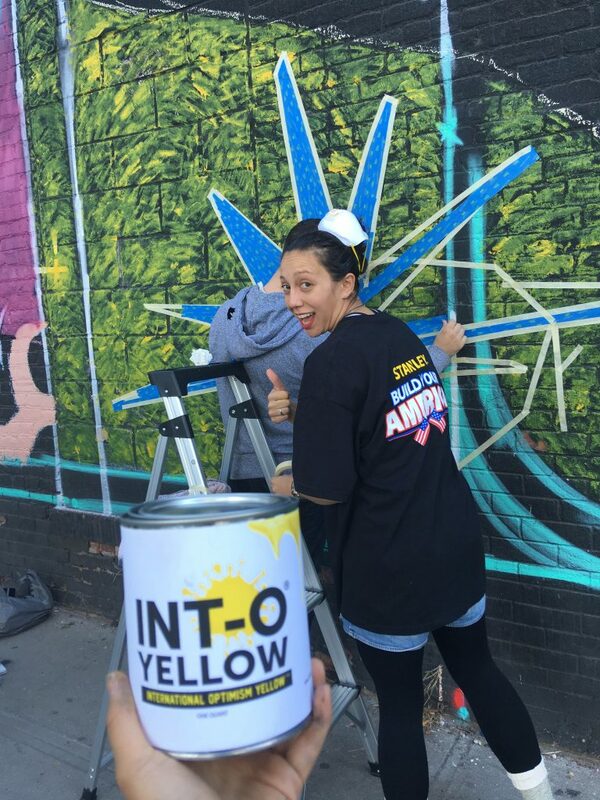 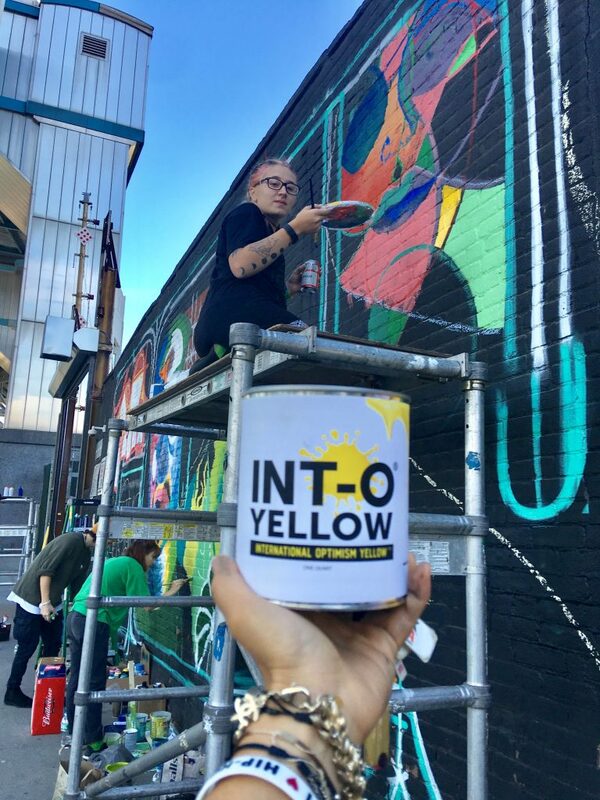 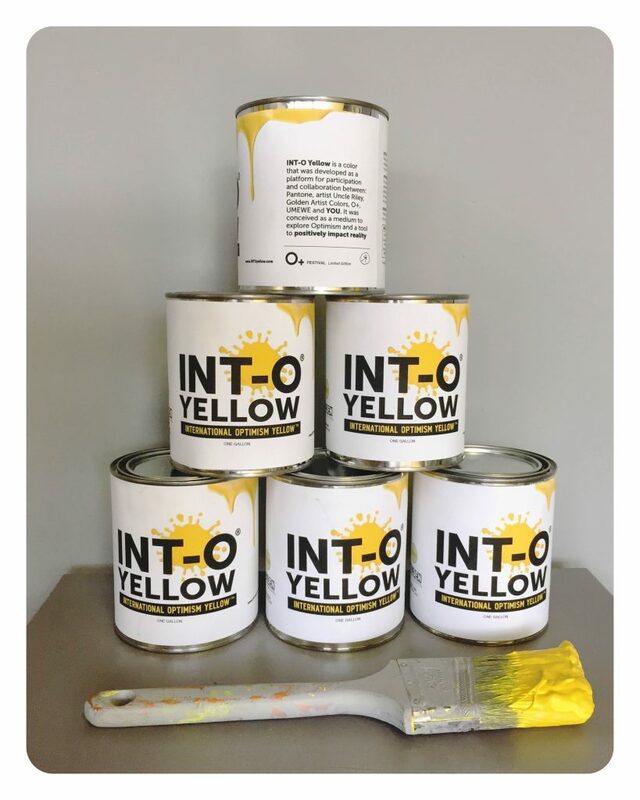 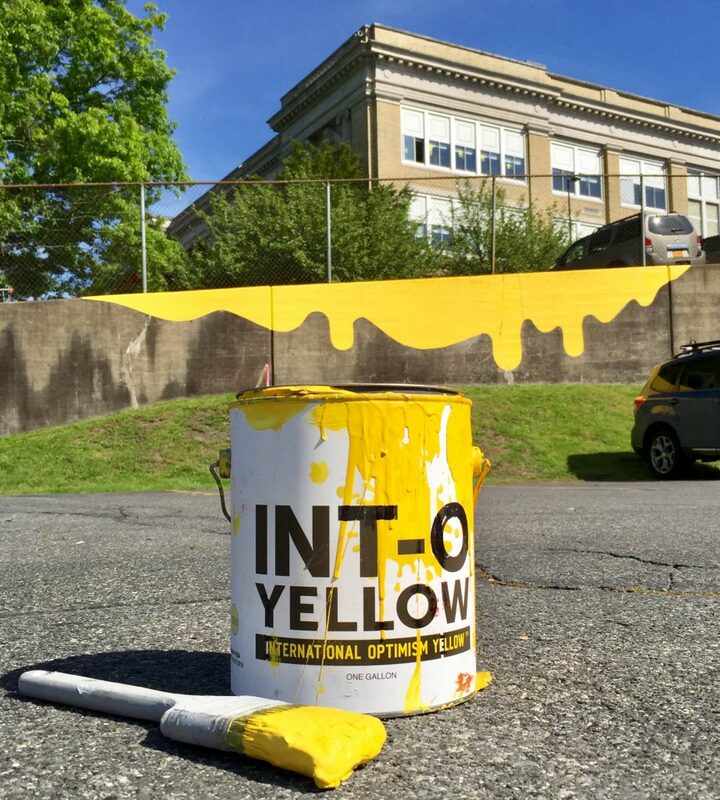 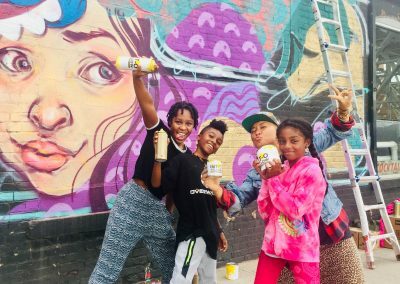 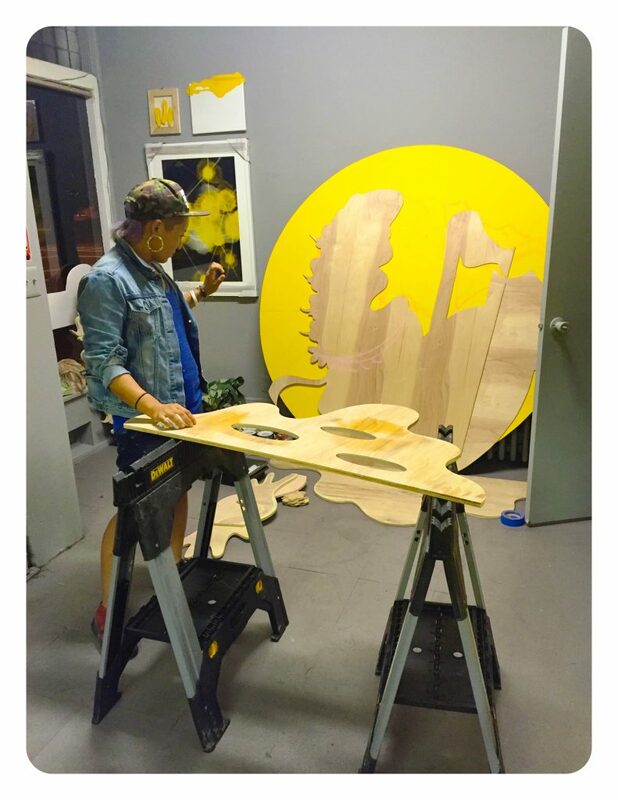 *UMEWE (you-me-we) is an organization founded by Uncle Riley that creates “tools to turn Optimism into Action”—in addition to other programs, UMEWE funds gifting INTOyellow paint to artists, creatives and communities.